"We take deep pride in serving those who have served our nation, so we are very pleased by the DoD’s decision"
LOUISVILLE, Ky.--(BUSINESS WIRE)--On July 21, 2016, after the market close, Humana Inc. (NYSE: HUM) was informed by the U.S. Department of Defense (DoD) that it has been awarded the contract for the TRICARE East Region. TRICARE is the military health care program that provides benefits to military service members, retirees and their families. Under the terms of the award, Humana’s service area would cover approximately 6 million beneficiaries in a 30-state region. 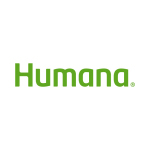 Currently, Humana holds the contract for the TRICARE South Region (Alabama, Arkansas, Florida, Georgia, Louisiana, Mississippi, Oklahoma, South Carolina, Tennessee, most of Texas and the Ft. Campbell-area in Kentucky). The new East Region is a combination of the current South and North regions. As is customary, the TRICARE contract provides five, one-year options exercisable by the DoD. Final disposition of the contract award is, however, subject to the resolution of any protests that may be filed by unsuccessful bidders. Humana was awarded its current TRICARE South contract in 2011. This newest contract is the seventh to be administered by Humana Government Business which has maintained a partnership with the DoD since 1996.